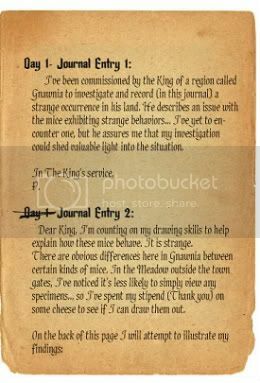 NarniaWeb Community Forums • View topic - Mousehunt - Brie it on!! Mousehunt - Brie it on!! 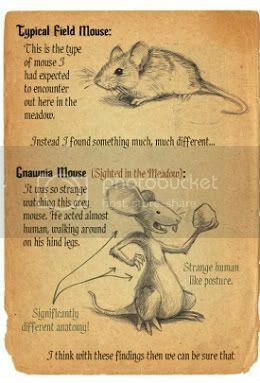 On June 28, 2008, I was wandering around on Facebook looking for ways to waste time, and I happened to stumble upon a game called Mousehunt. I probably wouldn't have payed much attention at all except that underneath it read something like "Save the Kingdom of Gnawnia!!" Being a webadmin of this site called NarniaWeb (you may have heard of it), I could not pass up trying out a game that used a pun on Narnia and the rest is history. For those of you who are not familiar with the game and have wondered what all of us crazy people are going on about, the game is pretty simple. You get a trap and some cheese, and you catch mice. The more mice you catch, the more you can upgrade your trap and cheese. The more you upgrade your trap and cheese, the more mice you can catch. And so on and so forth. One of the biggest pluses to the game is that it's a very passive play-style. At most, you can sound your hunter's horn every 15 minutes to catch a mouse. On the flipside, if you don't want to spend that much time (and very few people can), just signing on once every 24 hours will keep you active (you automatically check your trap every hour). We're always looking for newcomers to join in the fun so we hope you'll give the game a try if you haven't before!!! And while we admit that it's not a game for everyone, the more players the better!! For those of you who are familiar with the game, you know what to do... start posting. It's hard to believe that this thread has gone through 2 different threads already, but I guess that just goes to show the dedication of its players, and the fun of the game. For those of you who are completely lost, Mousehunt is a facebook game in which players (called hunters) maintain a mousetrap, which they use to catch mice in various locations. It is popular amongst NarniaWebber due in part to it's Narnian reference (The Kingdom in which the game takes place is called Gnawnia ). With various cheeses, traps, bases and charms, players advance through the game, make friends, and have a great time doing it. We've really formed a tight-knit community here, and I appreciate the input that each and every one of you provides to this thread. So here's to the next hundred pages of tournies, new catches, frustrations, events, and overall CHEEZINESSSSS!!!!!! Re: Mousehunt - Brie it on!! Thank you for the links!!!! Love the passive play of Moosehunt. Tier 2 complete. Tier 2 Mice trapped: 981 with 256 Tier 3 potions dropped as loot. 26% average drop rate. Ultimate Luck Charms did not change the drop rate. Where to go next? Life is full of tough choices. Ceppy wrote: Ultimate Luck Charms did not change the drop rate. Commander's charm is armed, and I'm ready to take out the rest of my scouts, and most of my archers! WOO HOO! n_a_h wrote: Speaking of which, does anyone know when the New Years event will end? Will it end when Ronza leaves? Well, based on the tournament schedule, the Chinese New Years event will definitely last through all of tomorrow as they're a tourney starting at 6pm CST and running 8 hours long. And I'm guessing they won't do much over the weekend, so I'd say the event is likely to last through til Monday. We'll see if they say something official tomorrow on the art FBF. wolf wrote: So when do the Valentine's Day events normally start? Well they usually average between Chinese New Year and Valentine's Day, so around Feb 9th or 10th. But since we're just coming off of a separate CNY event, I'm gonna guess it'll be closer to the 14th this year. Just a guess though. I'm not sure. Soooo... I had this frighteningly good run yesterday. I was seriously looking over my shoulder last night to make sure no one had hacked my computer to install a cheat on it. Anyways, I made it through Wave 3 in record time and right this very moment I'm trying to snag the Warmonger. In other news, the power/luck of the Warpath Thrasher is directly proportional to the amount of mice in the wave. So it's useless in Wave 4. Thanks DiGs for posting all the links up there. Good idea! cep wrote: Where to go next? Life is full of tough choices. Well I signed my team up for the 5-person Library tournament tomorrow worth loads of charms should we do well. (I hope we do well!) So *crossing fingers* hopefully that'll work out. EtJ is at 1.1 mil and he's trying to get to 3.2 to pick up the Chrome Rhinobot. Fantasia and I are willing to chip in, but we could still use some help if anyone else can. If you aren't friends with him, you could send the gold to me or fantasia if you are friends with us and we can forward it on. Don't forget about the tax on the gold when you forward it on. EtJ, I went ahead and sent you 900,000k tonight. I'd like to hang on to the rest of my gold for now in case other people still need help too. We'll see where you're at tomorrow before Ronza leaves. Hopefully we can get you that trap! I had an idea tonight... I started selling Flameshards like mad on the Marketplace cause they're actually worth something, and I still have some more I can sell if needed. DOES ANYBODY ELSE NEED HELP PURCHASING A TRAP BEFORE RONZA LEAVES TOMORROW???? After months of neglecting MH, I'm returning... During my absence from this part of the forum, I've bought the Venus Mousetrap and made it into the Mutated version. I'm currently in Digby, but am heading over to Ronza's pretty soon. Sooo... What do I buy when I get there? The traps look good too, but expensive. I'm guessing you've surpassed the Chrome Tacky Glue Trap, but you'll want to double check your stats to make sure. Well, thanks to my benefactors FK, Cepp, and Kat, I got the Chrome Rhinobot from Ronza. Before that, I got the Dragon Jade Base, which I upgraded. Back in the Catacombs, with my new toys armed, along with 8 Nitropop charms. A whopping 7,812 power. "To the Great Western Wood, I give you...."
Definitely chose a different path than most. FK wrote: DOES ANYBODY ELSE NEED HELP PURCHASING A TRAP BEFORE RONZA LEAVES TOMORROW???? I had a dream last night that I had missed 20 Caravan Guards in a Row, and that I had to start Wave 3 over again. . . . . that was pretty scary. Of course, what's the first thing I get when I sound my horn in the morning? A missed Caravan Guard . *slaps forehead* I was being a good girl and translating my Latin homework instead of playing Mousehunt and I forgot all about Ronza! Oh well, I did get the Dragon Jade Base. I'm short about 1,300,000 gold for the Chrome Rhinobot so don't bother sending me any gold unless you have a lot to spare. Hey Dot!! I should be able to help you out with that Chrome Rhinobot. DiGs, I make no promises whatsoever, I want to make sure everyone gets at least one trap before I help people out with their second trap, but if I have gold leftover before Ronza leaves, I'll see if I can't help you get your Warpath Thrasher. Mousehunt News wrote: It appears that Ronza's airship has become too heavy to lift off! Although she has unloaded most of her stock, Gnawnian gold is unusually heavy! Over the last four days, hunters have spent more than 100 billion gold on Ronza's wares, making her ship extremely heavy! Ronza has employed the help of the Scientists of Digby to retro-fit her airship with stronger propellers and a new type of gas to fill her blimp. These upgrades will provide the necessary vertical lift to make it off the ground. The Scientists of Digby have indicated that they will be finished the airship modifications by Sunday, February 5th, 5pm (GMT). This will be a hunter's absolute last chance to buy her wares, so make sure to visit her shoppe before she leaves on Sunday! That's 11am CST for me. I'm soooo glad she's staying an extra couple of days. Currently in the Library waiting for our 5 person tournament to start in about an hour. Doing research projects to stock up on Wealth Charms... going to need them to rebuild my gold supply. FK wrote: I'll see if I can't help you get your Warpath Thrasher. I greatly appreciate the help, but help everybody get at least one trap first. Like I said, I'm a long way off. I've only got 475K in gold right now, so I need about 1.8 million.